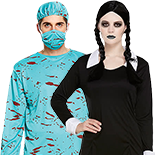 We know how important it is to find the perfect fancy dress costume for Halloween, but your outfit can easily be let down by missing out on those finishing touches. 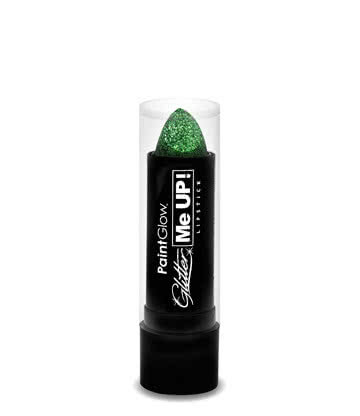 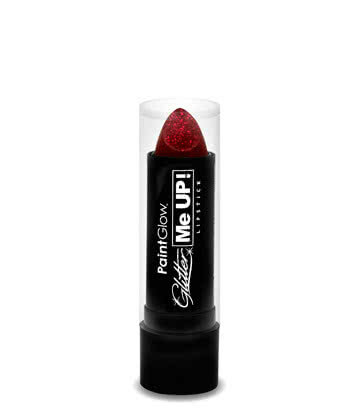 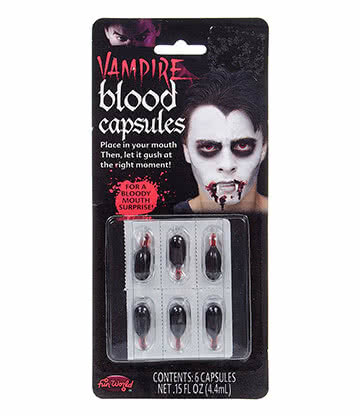 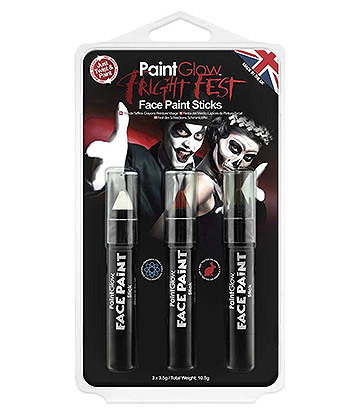 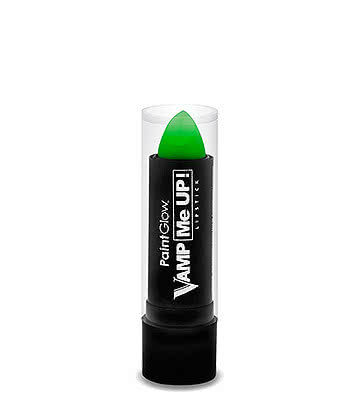 Our range of Halloween makeup products is the perfect remedy to boring fancy dress and is the secret to becoming the scariest ghoul, witch or vampire at the party. 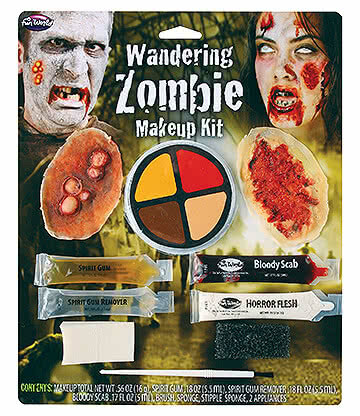 If you love nothing more than scaring your friends, thanks to our range of special Halloween makeup kits you can now create a look that’s truly terrifying, simply by getting your hands on one of our kits. 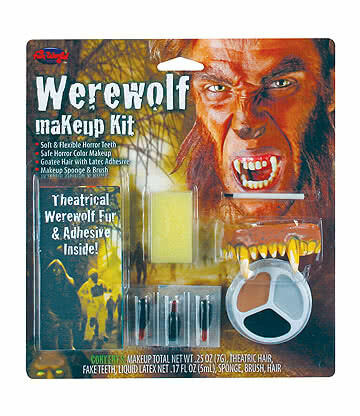 The great thing about our Halloween makeup kits is that we have costume makeup for every taste, all with a cheap price tag. 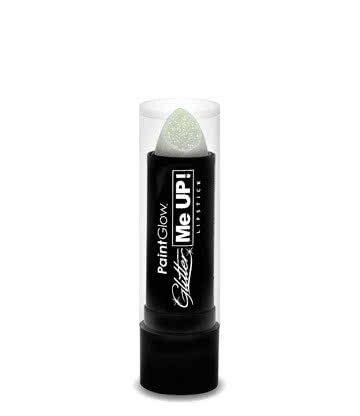 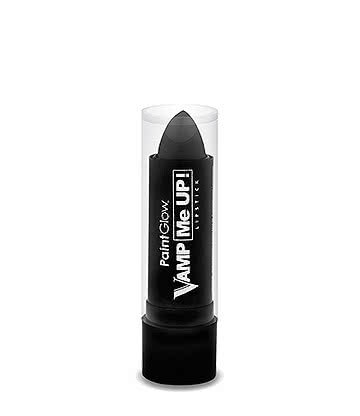 Witch Makeup: Use white powder to create a pasty finish on your whole face before creating dark spooky eyes. 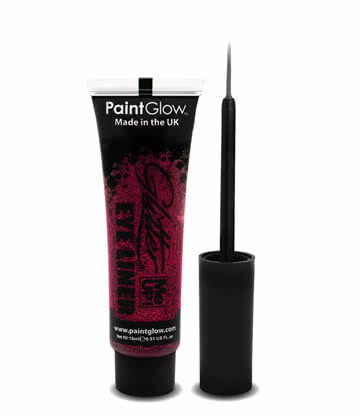 We like to use purple shadow under the eye to create a hollow effect, with a little green shadow on the upper lid and some seriously heavy eyeliner. You can even use a pair of our novelty fake eyelashes to finish off your witch Halloween makeup. 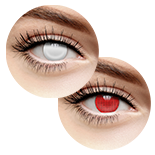 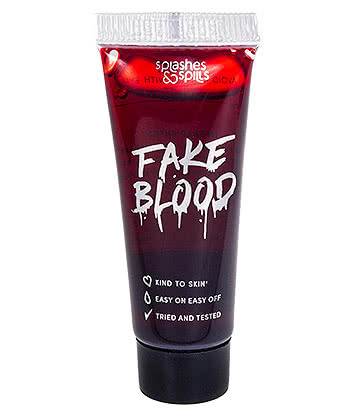 Vampire Makeup: Again, use white powder to remove any human warmth from your face, then apply a swipe of vivid red lipstick. You can make things pretty simple with your eye makeup by simply using a black liquid liner and mascara to create a sophisticated scary finish. 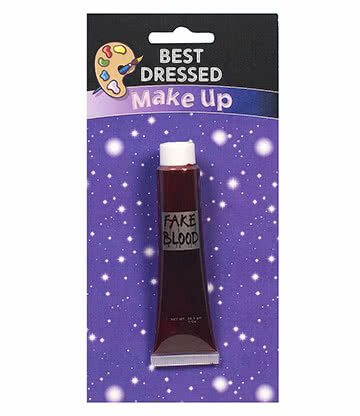 If you want to vamp up your look to the next level why not add some fake blood drips to your chin. 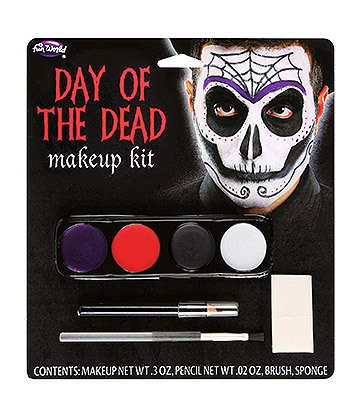 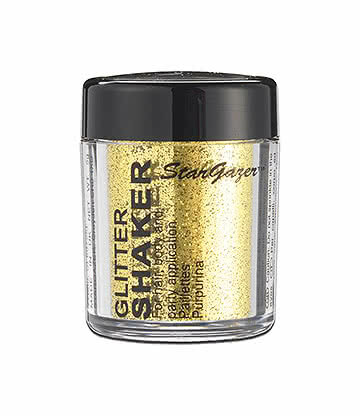 Halloween Makeup Easy: When it comes to Halloween makeup, it doesn’t really matter if you’re not much of a dab-hand at makeup because of the versatility of products. 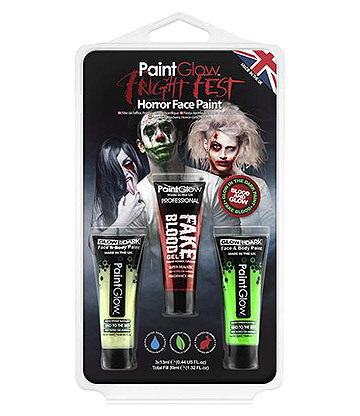 So if you don’t fancy spending ages in front of the mirror, simply white out your face and apply liberal splashes of fake blood and coloured face paint to create an effortlessly horrific finish. 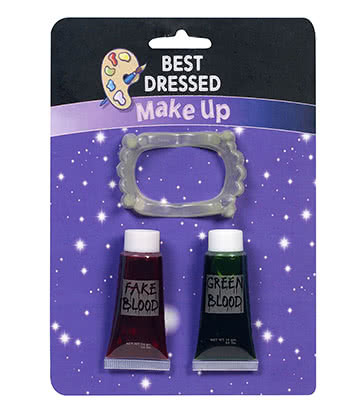 With plenty of the best Halloween makeup brands you can carefully select the colour combo or fake blood type that suits your costume. 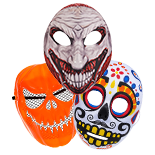 If you are asking yourself where can I buy Halloween makeup then remember that Blue Banana stocks everything you need to complete your Halloween outfit and decorate for a party. 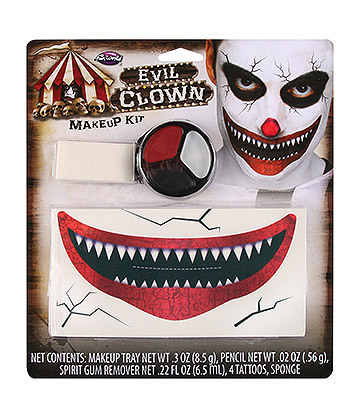 Whichever Halloween makeup scary ideas get your spooky senses tingling, our range of horror make up is sure to have just the thing for your chosen look. 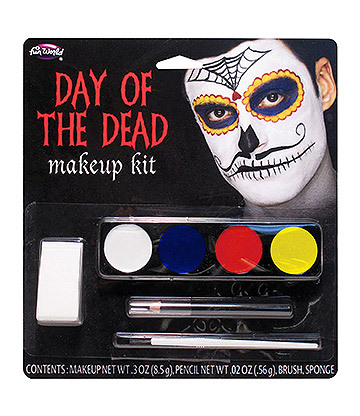 From makeup kits to eye make up, we have all the cosmetics to create that authentic Halloween look. 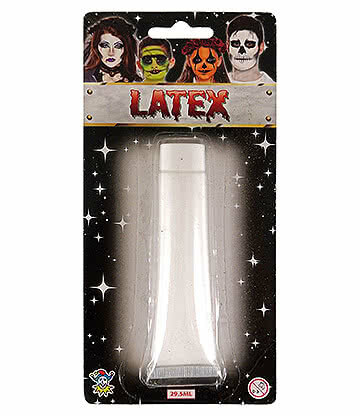 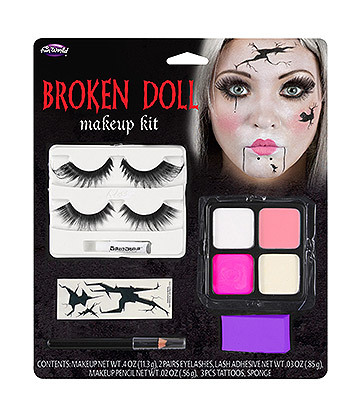 Our best Hallowen makeup products aren't exclusively scary, we also stock plenty of versatile costume and party make up that can be used for various fancy dress parties, nights out or New Year’s Eve. 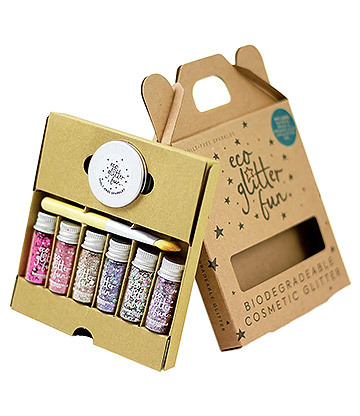 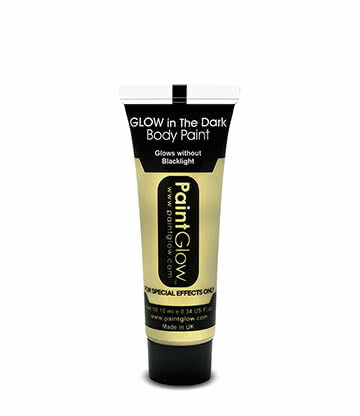 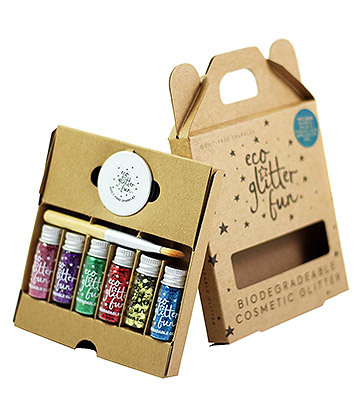 Our selection of PaintGlow face and body paints features a rainbow of vibrant UV paints that you can use all over your body to really light up the night at any special occasion. 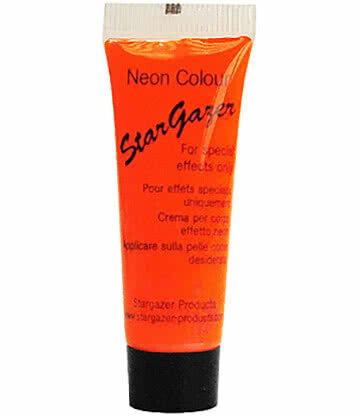 We also have a variety of brightly coloured eye shadows to bring some gorgeous glow to any ensemble. 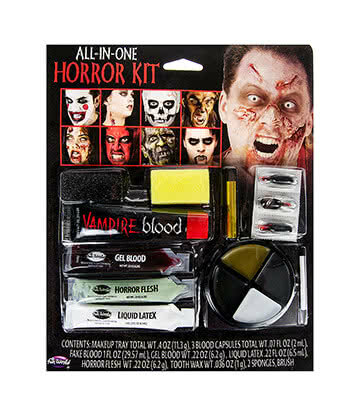 If scary horror make up is exactly what you’re looking for, why not take things up a notch with some of our professional Halloween makeup kits? 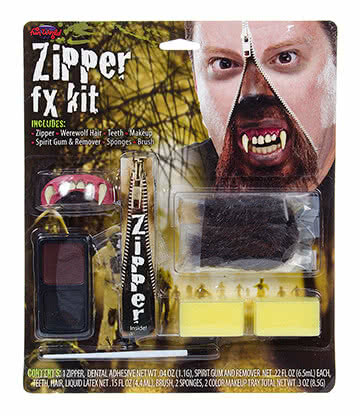 Our prosthetic makeup includes gory Woochie prosthetics and latex special effects that can easily be used to amp up your scare factor and give everyone the creeps. 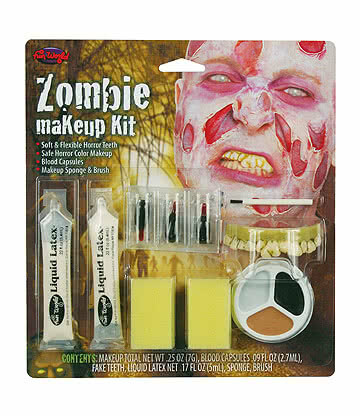 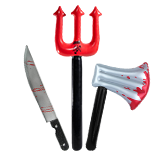 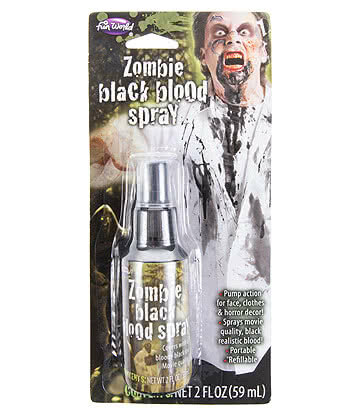 Whether you like the idea of a gory head wound, bullet hole or severed limb, our Halloween makeup materials are the best place to look to find some seriously scary cosmetics. 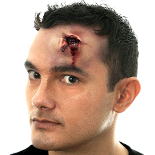 If you’ve never used any prosthetics before, there are plenty of tutorial videos on YouTube to help you find some awesome Halloween makeup ideas and show you how to achieve the look. 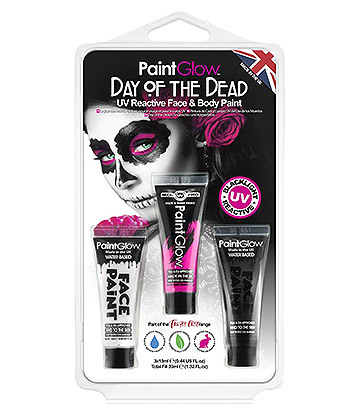 With so many Halloween makeup products to choose from, it’s up to you how to use it, so choose your favourite Halloween costume and get spooky.